Join us in welcoming the new year as we commune with call and response, chanting, community, world music and sacred sounds. 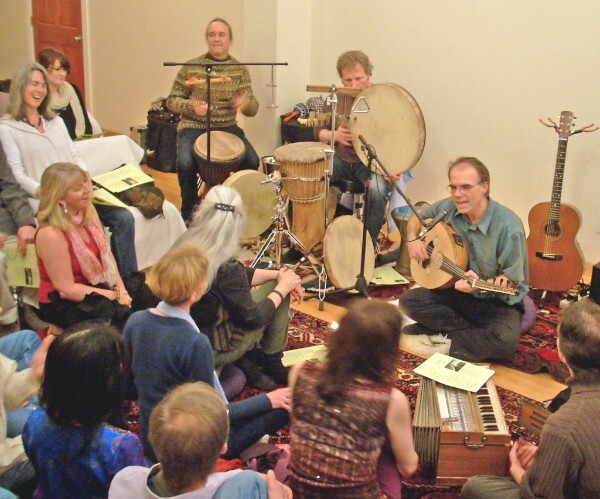 This winter, we are happy to have an offering for you very Sunday, as well as some Saturdays.Learn more at our newly updated BE Kirtan & Satsang program page. NAAD returns to Bridge & Enrich to bring you a night of auditory magic, transformative vibration and healing sound. Come immerse yourself! NAAD plays music that calls to all the beating hearts, a sonic invitation into fully embodied prayer. Always fresh, nearly always improvised, their spontaneous explorations tickle the full spectrum of sound – from sweet whisper to soulful shout. 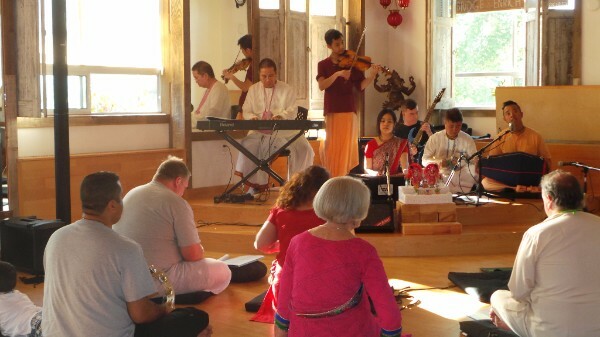 The evening will open with chanting and call & response by Nadaka, Gopika and Keshava. More information on Raga Mantra and Swahansa here. Call & Response ~ Mantra Meditations for Peace w/ Sandra Leigh (Vox, Harmonium), Stefan Cihelka (Tabla), Valéry Bruneau (Response Vocals), Rob Scharein (Slide Projections) and many friendly voices! Yoga Meditation is followed by beautiful call and response chants (Bhajans) for an uplifting Kirtan experience! Traditional Arati (Light Celebration) crowns the experience followed by the sharing of Prasad (Fruit & Sweets). Come enjoy an evening with other positive people as the Krishna Balaram Mandir offers their program to celebrate Love and Devotion to Krishna, the Supreme Personality of Godhead in the Vedic tradition. 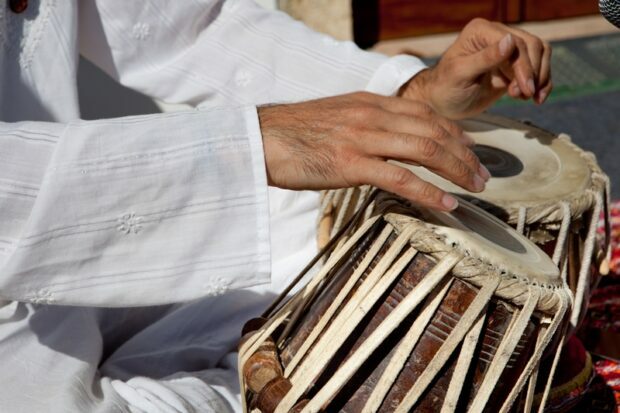 “Universal Kirtan” is what the Sufis call Sema, a journey to Divine Presence through sound. 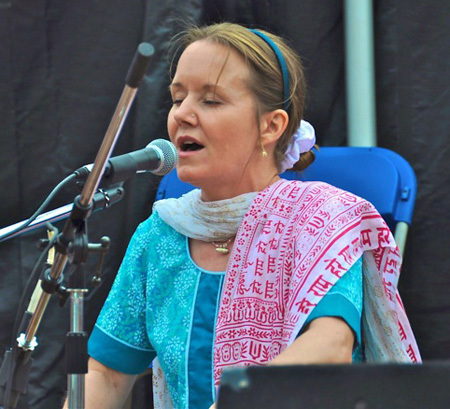 As in traditional Kirtan, the medium we use includes chants and songs, as well as sacred poetry, and to make it “Universal” we draw from the many spiritual and faith traditions of the world to honour the One expressed by the Many. 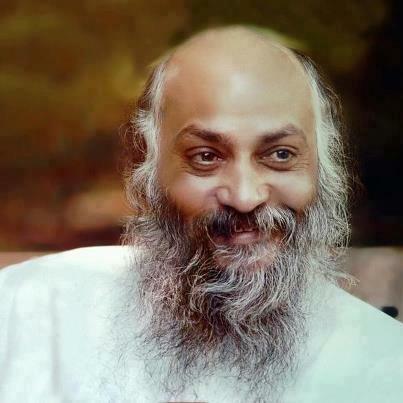 Osho Vancouver is a group of individuals who enjoy gathering together as friends to share meditation. This group explores active and passive meditations devised or recommended by the enlightened mystic Osho. Bhakti refers to devotion that is held in the heart of a person of any spiritual faith. 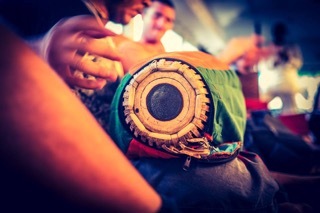 The Bhakti Yoga Movement is a trend within Indian Spirituality. 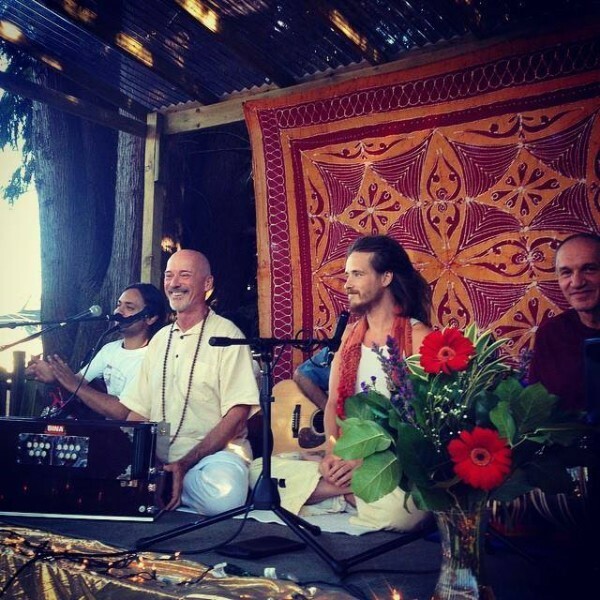 Our Weekly Kirtan & Satsang Offerings: We Invite You to Check Them Out! We were first given to. I was given my life, you were given yours. We were each given the ability to love as a fundamental ability of that life. I was given freedom of choice and so many gifts. These same gifts have been given to you. Having received, it is now our responsibility to give. Until we learn to give we are unlikely to receive, especially spiritually. As a person learns to be compassionate, they make space to receive kindness. In the same way as you forgive it becomes easier for others to forgive you. Allowing your true feelings to flow opens the door to receiving. As you love others you give love an opportunity to liberate. As you love your own soul, your own being, your own presence love becomes part of you. Now is the time to give, to give to yourself and of yourself. Do not wait for an opportunity to arrive, the occasion is always present. The time to love is here and now. Your spirit, your very essence is healed as you do so. It is not selfish to re-unite with your soul. A wounded soul needs your love to restore it. There is no scarcity of love, it is free, it is plentiful and to be found anywhere and everywhere. It is within, nearby and afar. It is here now, this very instant. It is throughout and beyond. We are never alone. My problem is that during my temporary stay here on planet earth I have clouded my ability to see love’s clarity. I have been neglecting love who is my companion. It is not within the spirit of love to hide and be unavailable to anyone, for why would that be so? Love has no requirement to be veiled for that is not its essence. Love does not hide. It can only be me who has made myself remote from love. Each of us is alike, it is the same for you, the same for all. Love cannot help but give of itself for that is its nature. Frequently we do not recognise this and we become blinded by our inability to see. On another occasion we may be blinded by love, by its beauty, by its brilliance. Where you or I do not see peace today, we may find peace tomorrow. The same is true of all the aspects of love. As I forgive I am forgiven. You and I as individuals may find it difficult to reduce the conflict on our planet, but we are responsible for peace within our own hearts. Although love is not hidden, in order to see it and be in its presence, we are required to seek it out by opening the eyes of our souls and then, finding it, stay within that place. Love will assist, that is its nature. It is not for me just to sit back and let love do the work for me, it is my job and yours, to initiate this reunion by achieving our home coming back to kindness, compassion, peace and joy so that we again find our true selves. Our egotistical self is not our real being. As I pick love as my powerful and comforting partner I may always ask for its assistance. Love will not and cannot reject me for its pattern is to give and forgive. Our efforts will always be rewarded. It is a case of “give and be given to” rather than saying give to me first and then I will give. I am, and so are you, to make this move of reconciliation and be loving. Thus we may re-unite with a mighty giving and forgiving presence. If you do not find peace in your own home, your own kitchen, your own inner self, what chance planet earth? For the sake of all, the path to peace is yours to take. Love and all its ingredients such as kindness, forgiveness and truth are free. We may access its compassion wherever we are, within and without, for it is ever present and ever a present awaiting to be opened. We only need to practise our willingness to achieve its companionship. The task of every human is to actively look for and seek the company of love in every situation. Love is to again immerse us as we devote ourselves to renewing our relationship. What better cause can there be in life than to love? It is time to re-discover love, it is the reason for life and death. My soul is love and yearns my return, we have been separated too long. We all forget and we have left our souls in darkness. The moment is now to renew this spiritual association. In the beginning we are love, what has happened since? How come I no longer recognize my beginning? Where have I hidden my truth? I have become so remote. I seem to have difficulty distinguishing my own spiritual self, my own reality. I associate with my ego in preference to my soul. I no longer recognise my true nature. I have deeply buried myself and hidden my real being, buried behind so many disguises. I have been so calculating with my cleverness that I no longer recognize who I am. I have lost contact with my soul. So have you. How come I let others advise me about my feelings? 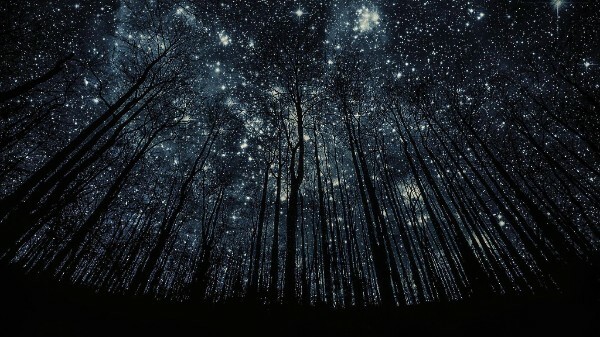 How come I let the world I perceive, the material world, tower over me and my relationship with my soul? How is it that I have ignored my very core, my essence, my presence? How come I have shut myself down from love? How come we fail to demonstrate thankfulness, to forgive, to be caring, comforting and to show concern for others? How come we judge and fail to be truthful and gentle? Where is our hope, our humility? We have lost touch in these matters and love escapes us. The time is now to return to kindness, joy, light, mercy, peace, thankfulness, tolerance, truth, wisdom and all things loving; for you and for me. We are all related, we are related by love; we have forgotten. Now is my chance to again be with my soul. It is not within my power to change yesterday, nor am I able to surely predict tomorrow, but by living love in the “now”, in this instant, then I become more accepting and less judging. Love will love me for that. Similarly for you, by giving, you receive. By showing care, you will receive. Forgiving self, forgiving others and being forgiven is what your soul yearns. Love is who you are, allow its company. Love will remain with those who are prepared to forgive and be at peace. Now is the time to do this, it is never too late. As I receive love I may pass it on to others, as I do so I may immediately be replenished. But not giving is being apart and I will not have made space for love within. As I again allow myself to love and be loving, I am thankful. I am not to ask to whom shall I give, I am just to give. It is not for me to judge whether I should give to the perceived rich or poor. The sun does not ask “For whom am I giving light?” the sun just gives light. The tree does not ask, “For whom am I giving shade?” it just gives shade. Similarly it is for me to give. Give freely so I may receive freely. Practise giving and be thankful. Give with joy in the heart. Give of the soul rather than the mind, give spiritually. Today is given to us for giving. I may find it easy to offer love to some and more difficult to others. I am to practise for all are equal; all are souls as I am, journeying on this planet. I am offered the consciousness of love as my companion, why would I reject it? My giving is just to be giving, not with any attachment. Should I give with a condition, it becomes something other than a gift. To say “I will give you this, if you do or allow that”, that is a trade rather than a gift. Love is not a trading commodity. Similarly love cannot be: “I’ll love you if you do this” for that is manipulation and such exploitation is no longer loving. The gift of love is freedom, love itself is free. Love is. Just allow love, for this recognition brings peace and understanding. Today our world needs peace and acceptance and I hear many say “There’s nothing I can do.” But there is something you may do! You may assist by becoming peaceful and kind, within your soul and outwardly in your daily life. Re-unite with your soul. Imagine if we all did just that!